Friendly Staff, beautiful views and clean restrooms and showers made Chinook RV Resort a place we will definitely return too anytime we are traveling. The nearby area has lots of activities so everyone in your camping party can find something interesting to do. Hiking the many trails is a great way to see the area scenery and wildlife like Roosevelt Elk. Pick wild sweet blackberries July – September, Attend the Salmon Festival – August, canoe or kayak the river and streams or book a Jet Boat Tour for close up views of Bald Eagles, Osprey, seals and otters. Fish the Klamath River for the day and land a Spring or Fall Chinook Salmon or beach fish for Red Tail Perch… or view the breath taking Northern California coastline. 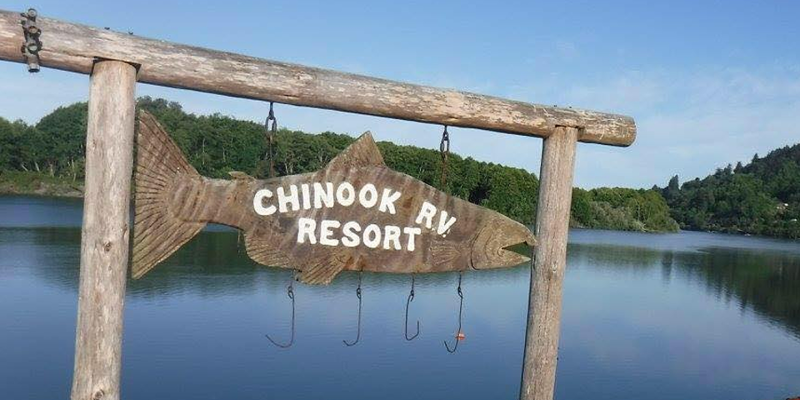 Chinook RV Resort is located in Klamath, California. It’s accessible from points North and South on US Highway 101. Highway 199 provides access from Interstate 5 to Grants Pass, Oregon, and then south on US Hwy 101. Highway 299 provides access from Interstate 5 in Redding, California. to Eureka, Ca, then north on US Hwy 101. The Chinook R V Resort is 18 miles South of Crescent City, 60 miles North of Eureka, Ca and 340 miles North of San Francisco.